We're starting off with quite the banger this week! You may recall last year when we featured Headhunterz & KSHMR's wonderful song 'Dharma'. That is still one of the best songs to ever meet my ears, and this little number is quite good as well. I feel as if we're living in an age over-run with EDM & dance/club tracks that all sound the same, which might be fun for the masses but it just bores the heck out of me; if I've heard it once I've heard it too much. The video for 'Mandala' isn't quite as beautiful or catching as 'Dharma' but the music is just as good, so I won't be overly critical. I am more than aware featuring this here bearing in mind my above critic is extremely ironic. Whilst this song is OK & I like some of the beats, it's featuring here purely because I think the video is fantastic. It has so many callbacks to movies/TV shows/video games/music and as someone who spent the weekend working on a storyboard, I am so impressed by the animation in this video. Well, actually I was impressed by the animation when I first watched it & proceeded to draw it to CONTROLRadioUK HQ's attention, but I'm allowed the odd shameless plug! If I'd had my way, I'd be featuring 'Pave' here. It's not the strongest song I've ever heard but I find it more interesting than this number. Unfortunately the rest of CONTROLRadioUK HQ didn't agree and here we are. I am to say this song has some nice funky beats and an electronic vibe which is really good. Personally a small part at the end of the chorus sounds good, but nothing about this song grabs my attention or makes it stand out (I again direct you to the critic above). Britt Nicole is an American vocalist/songwriter/recording artist and the album 'Britt Nicole' is out now. This week is a lot of pointing out what's wrong with songs. I'd say that I'm sorry but I'm really not. 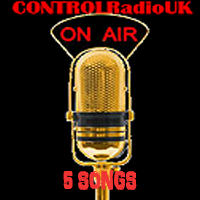 I may have mentioned it once or twice but outside my work here with CONTROLRadioUK, I'm a writer and producer of many things. I have spent many an hour in the recording studio putting songs together, and getting into arguments with people when they put too much stuff into songs. You want to mix one or two genre's together? That's fine as long as the song makes sense. You want to throw a whole box of genre's together & hope with the magic of mixing it'll sound fantastic? You're on your own. That is the exact problem you have here. 'Shhh' in places sounds good & when I first played this at CONTROLRadioUK HQ I was really hopeful, but unfortunately this song is trying to do too much and it just sounds messy. The beginning of the song has a nice musical build-up that I appreciate and the under-tone beats made me feel hopeful, and as it grows I'm bouncing my head along and hoping the chorus is gonna smack down like a BAMF. Instead it just falls completely flat with a mix of like 3 different genre's, then returning to the verse music which is again good and I again really like the break beat, but then it's messy again and I'm done. RAYE is a British singer/songwriter & whilst I am critical here, as I've said there are elements to her solo work that I like so I shall be keeping an eye and hoping her next song is the third time charm. Finishing off this week with a song I don't hate and a duo I've previously covered in the picks. Whenever a Country music song used to be recommended to me, I rejected it without a second thought. Country music wasn't for me or so I thought. 'Boomerang' is a really good song musically and lyrically. I'd advise a look into their back catalogue because WardThomas have made some nice tracks. I'll be honest and admit they don't all grab me, but I can stand listening to them which I think is healthy progress for a once confessed Country music hater. WardThomas are a British modern Country music duo and their album 'Cartwheels' is available now. I could make a comment on the 'modern' thing but I think you lovely folks have had enough of me for once week.